- The ex-Super Eagles star is furious the coaches are still struggling to get a capable replacement for Vincent Enyeama. Francis Uzoho’s error during Nigeria’s final 2019 AFCON qualifier against Seychelles’s Pirates has attracted comments from ex-Super Eagles star Emma Okocha. The former Enugu Rangers midfielder, who claimed silver at the 1990 AFCON in Algeria is unhappy national team handlers, are struggling to get a capable replacement for Vincent Enyeama. Okocha insists that the Eagles deserves a better shot-stopper after watching Uzoho's latest school-boy error against Seychelles’ Pirates on Friday. "The current crop of goalkeepers do not compare to the likes of Emmanuel Okala, Peter Rufai, Best Ogedegbe, Peter Fregene and Vincent Enyeama who were our match winners during their days. "These are good goalkeepers that you can always count on to save matches for us. Even when an opponent has beaten everyone, he finds it hard to get past the goalie. "That has been the tradition of our goalkeeping if you go down memory lane. Nowadays, it seems everything has changed. ''Uzoho's errors since the last World Cup are simply becoming unacceptable,” Okocha was quoted as saying to allnigeriasoccer.com in Asaba. Earlier, Legit.ng reported that Super Eagles of Nigerian have rounded up their matches in the 2019 African Cup of Nations qualifiers with an impressive 3-1 win over Seychelles on Friday afternoon, March 22, in Asaba. Gernot Rohr's men went into the game with great confidence and relaxed minds after winning the first leg 3-0 away and coupled with the fact that Nigeria had already qualified for 2019 AFCON. Nigeria started the match impressively with Arsenal striker Alex Iwobi winning a free-kick for the Super Eagles in the 5th minute, but Ahmed Musa was unable to connect with it. 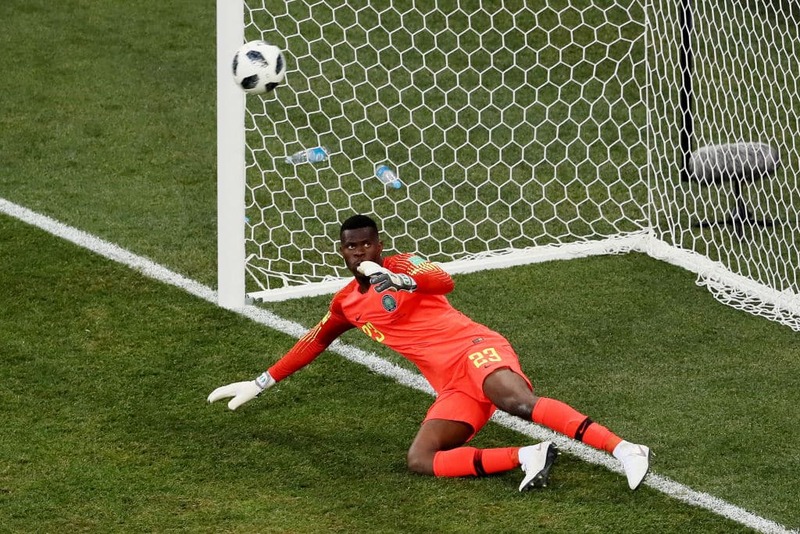 Seychelles had a great chance for them to have taken the lead in the 9th minute when Jude setup Karl, but goalkeeper Francis Uzoho made a nice save. Etebo also had two great chances in the 11th and 16th minutes respectively, but he was unable to find the back of the net. Super Eagles finally scored their first goal in the 33rd minute via a penalty after Karl Hall fouled Wilfred Ndidi in the box in which the referee gave a penalty scored by Odion Ighalo. But the visitors came back with an equalizer before the end of the first half through Randy Melanic who benefited from an error by Nigerian goalkeeper Francis Uzoho. Henry Onyekuru scored the second goal for the Super Eagles in the 50th minute via an header after receiving a nice assist by Jamilu Collins before Moses Simon sealed the victory at the death as Nigeria won the match 3-1.